I was with Henry while he was filling up his car (1.89 for the cheapest gas! 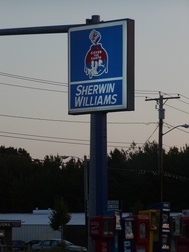 ), and I noticed this sign for Sherwin-Williams, the paint company. 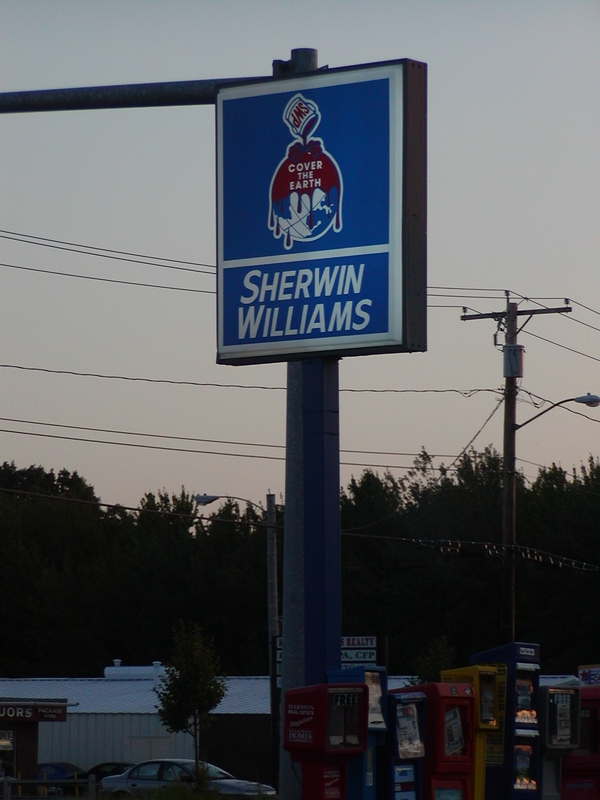 Does Sherwin-Williams really advocating covering the world… with paint? Cover the Earth with blood-red petroleum-based product! it makes sense to paint the world red so it goes well with our neighbor, mars. only if the world is covered with the quality of sherwin-williams will it be protected from the effects of heat and weather-wear. and don't forget, the world would then be covered under a 5-year limited warranty for paint chipping and splintering.